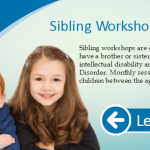 Sibling workshops are offered to children who have a brother or sister with a diagnosis of an intellectual disability and/or Autism Spectrum Disorder. 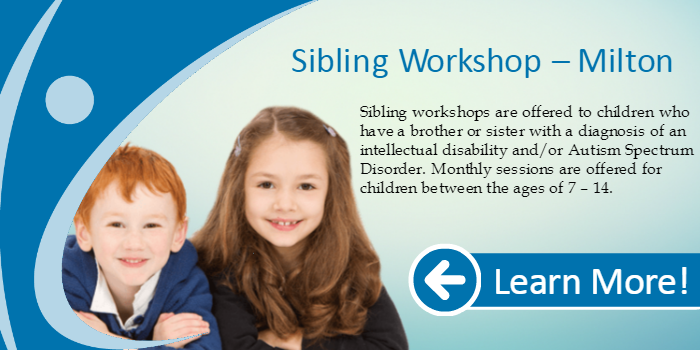 Monthly sessions are offered for children between the ages of 7 – 14. The workshops focus on sharing experiences, learning about other disabilities, and meeting new people. There is a fee of $10 per session, which can be paid upon arrival. This cost includes dinner, drinks, and snacks. Separate registration is required for each session. Participant Age: Ages 7 – 14. Region: Available to families living in Halton Region.